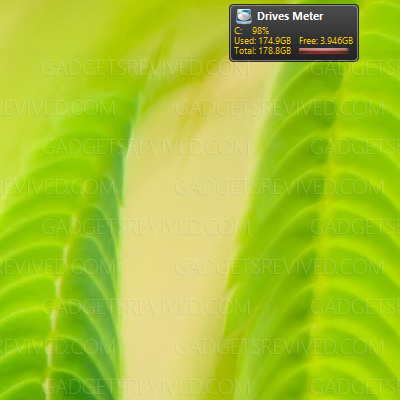 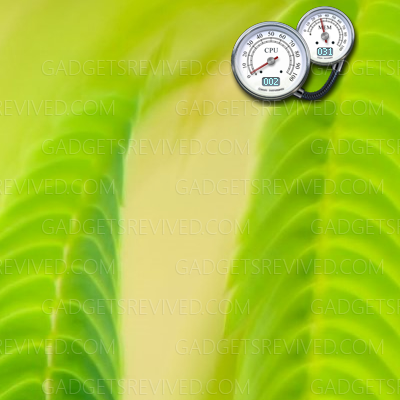 The Drives Meter is a free gadget for the Windows Vista Sidebar will show your PC drive space, free space, used space and the bar indicates used space. 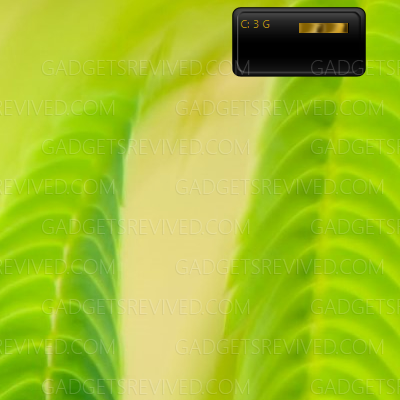 As your Memory usage changes, the mood of the smiley also changes. 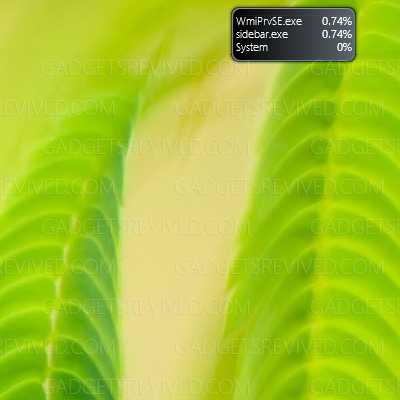 Displays the processes that are using the most CPU on your system. 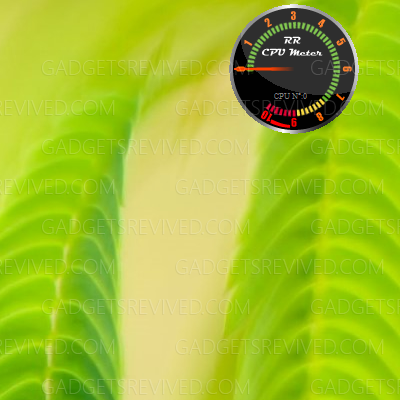 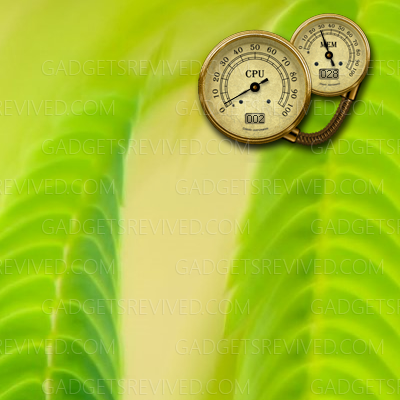 A simple and readable CPU and RAM meter styled like a couple of graduated beakers colored according to the current value.